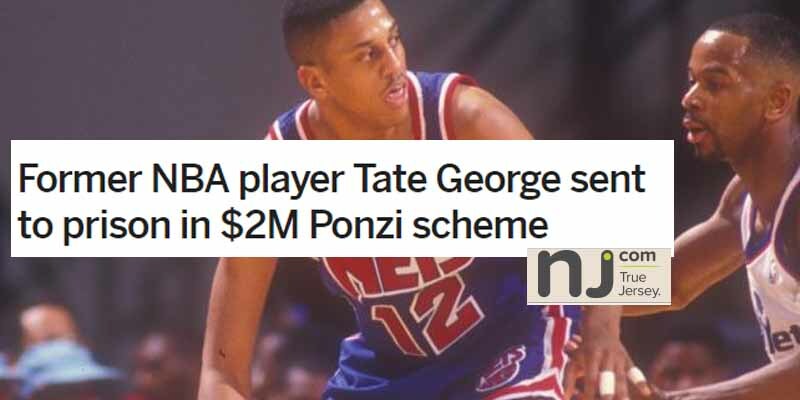 Tate George played three years for the Nets, and another for the Bucks before calling it a career in 1997. In 2013, he was sentenced to 9 years for running a Ponzi scheme using a fraudulent real estate investment firm called the George Group. A Ponzi scheme is when The schemer recruits people to invest money with them, then once they do, they’re sent statements which indicate the investments are making money. Problem is, there usually are no investments to speak of, the guy has just taken the investors money and sent them fake statements. If someone cashes out their investments, the schemer just uses the money they get from future investors. Often, nobody finds out about the scheme until the schemer is dead.